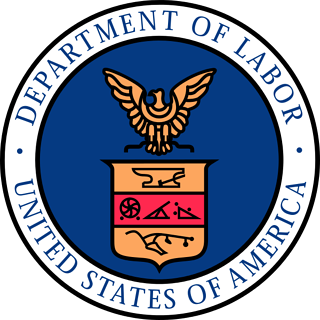 The Department of Labor dropped a regulatory bomb on the financial services industry on April 6th. Regardless of how the dust settles regarding the true impact of the regulations, TRAK is uniquely situated to help financial advisors comply with the new fiduciary requirements. TRAK is far more than a resource for client education. As a retirement education tool, TRAK can not only help you illustrate a client’s retirement readiness, but also adapt to new regulatory requirements. The rule clarifies that general financial, investment, and retirement education do not constitute “recommendations.” More specifically, the use of interactive investment materials, including software like TRAK, does not necessarily constitute a recommendation. With TRAK, you can quickly provide retirement readiness education to clients in a way that complies with the fiduciary rule. When used interactively with your clients, TRAK allows you to estimate future retirement needs and readiness. TRAK helps you assess the impact of different assets, allocations and distributions on retirement and estimate income streams from actual or hypothetical accounts. As you enter or change data provided by clients, they can see how the analysis changes right before their eyes. The software and reports all clearly state the facts and assumptions used to generate a retirement wellness analysis. This gives clients a clear understanding of the facts and assumptions upon which the retirement projections are based. TRAK takes into account nearly all types of assets, income and investments including Social Security, IRAs, savings and investment accounts, other existing pensions or retirement accounts, other income, real estate and more. The client receives a clear picture of all assets, including the spouse’s assets if desired. TRAK’s independent platform does not promote any specific investment products, alternatives or options. This allows you to present the products of your choosing and gives your client confidence that the results are not sponsored by a particular product provider. With TRAK, clients receive an attractive, detailed summary and analysis of the retirement plan that they have helped create, including all the data and assumptions used in the projections. For you, the advisor, these reports provide evidence of the retirement need as well as how the chosen solutions will to meet that need. We know you want the best for your clients as you help them prepare for retirement. Using TRAK brings your client into the conversation, facilitating engagement and education about their retirement readiness and giving them confidence that all their assets are represented and all possible scenarios have been considered. For details about the rule and the use of interactive software, please refer to 29 CFR 2510.3-21 (b)(2)(iv)(D). Are you on TRAK? If not, try our free trial and experience a dynamic way to educate and engage your clients.